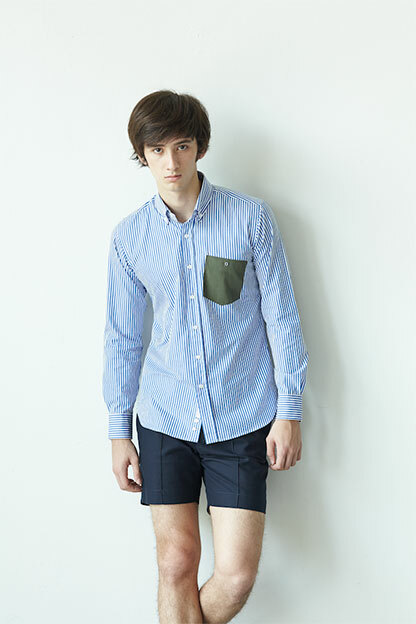 Bangkok’s most well put-together men have one thing in common: JBB* shirts. Jirawat ‘Bote’ Benchakarn’s strength is in his suiting, but his shirts keep the phone ringing. While his modern sensibilities are tangible in his choice of proportions and details, Benchakarn sticks to traditional tailoring methods: fabrics must be authentic, fits must be meticulous. His garments are timeless yet contextually appropriate and created in limited quantities to service a discerning clientele. In response to Thailand’s recent political instabilities, Benchakarn felt compelled to express his unwavering conviction in his country. 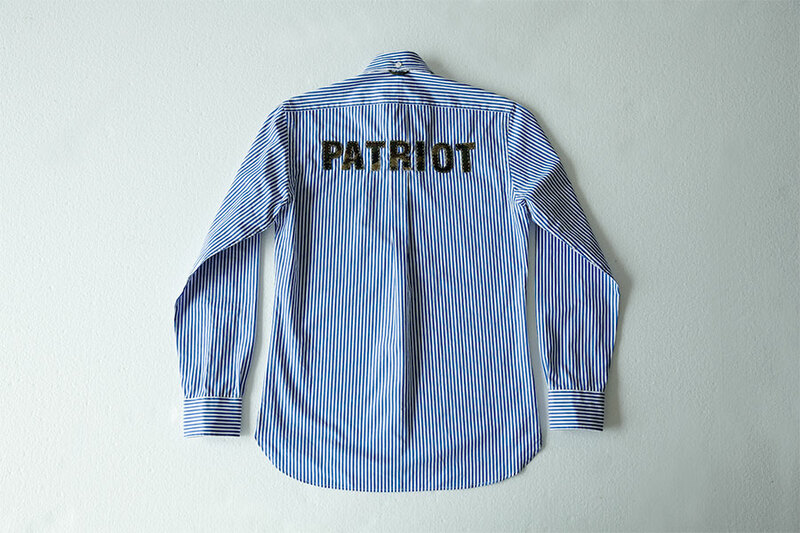 He decided Patriot would be his statement, a universal term of allegiance that felt neither cultish nor corny. For this shirt, the designer chose one of his favourite pairing: stripes and camouflage. Emblazoned on the back is his message written in all-caps felt letters, each one cut, stitched, bonded and set by hand. 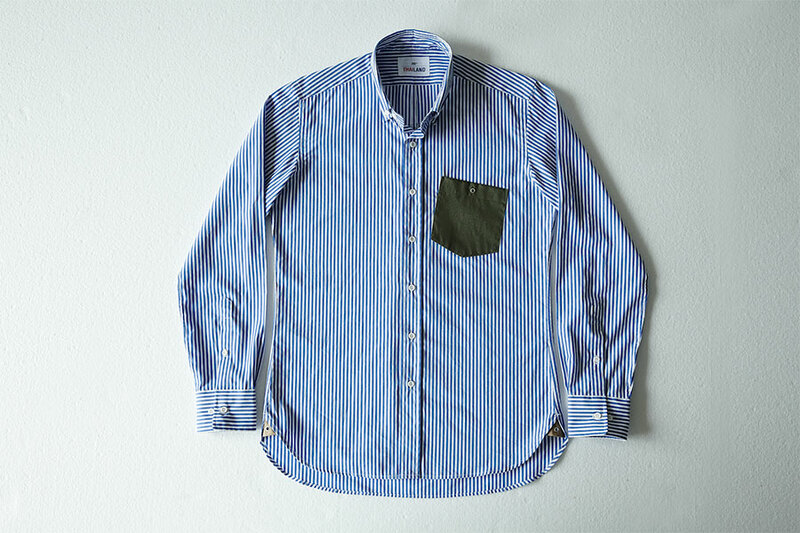 The front is kept simple, save for a single pocket in military green Oxford to correlate with the back, encompassing the patriotic theme in a subtle manner. The brand’s shirt tag is a special edition, inspired by a previously designed army hat, and sits above a Siwilai label. A specially designed Cabinet de Curiosités logo has been embroidered onto the shirt’s inner cuff, the ‘CDC’ interpreted as a monogram, similar to those found on military uniforms.